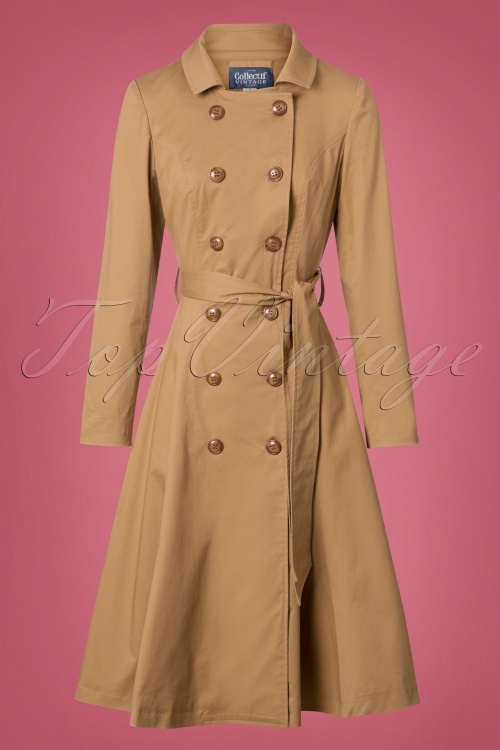 This 40s Korrina Shower Proof Swing Trench Coat in Beige is one of the most elegant vintage style trench coats that you've ever seen! 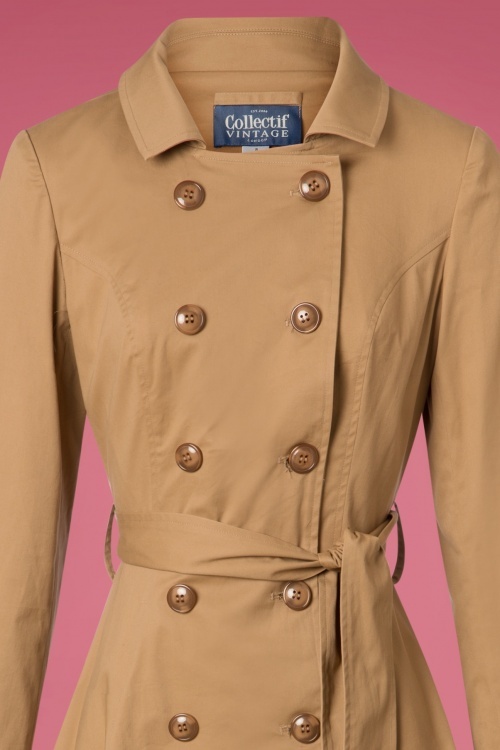 We all know the feeling; you're all dressed up and then you realise you don't have a matching coat... Collectif has solved this 'problem' by designing this amazing vintage style, swing trench coat ;-) Beautiful classic detailing such as the double breasted button closure and the collar that can be worn closed or as an elegant lapel collar make her the perfect coat for autumn. 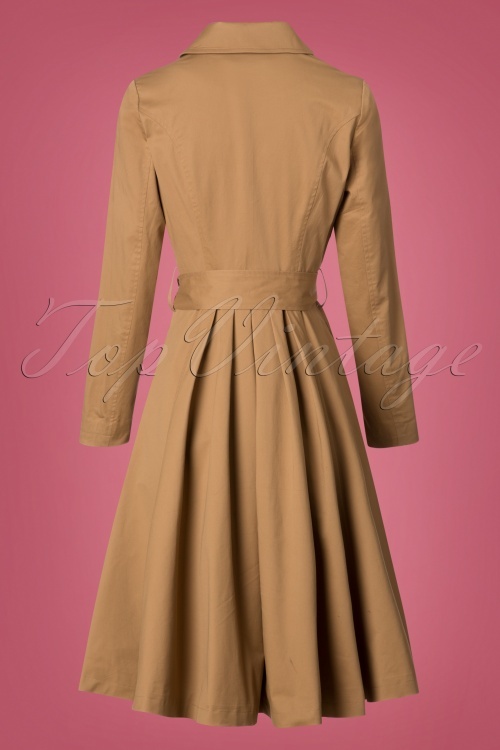 The combination of the tie strap and full swing skirt will flatter your figure, making your waist seem slimmer. 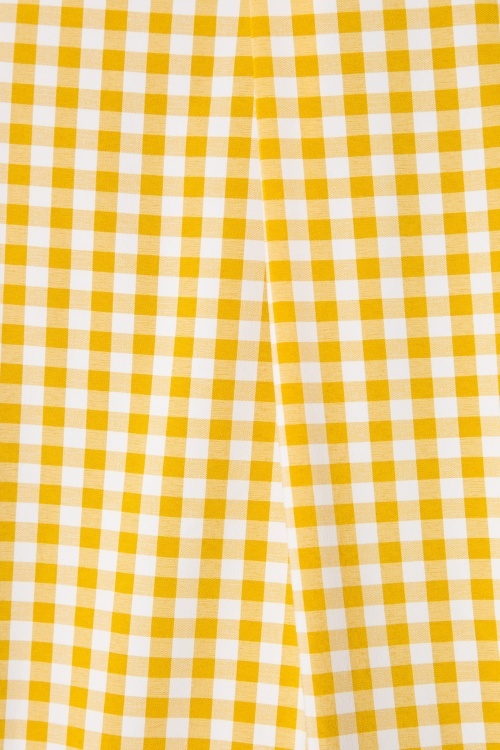 Made of a matt beige cotton blend with a light coating so she can resist a light rain shower (however, we do recommend using an umbrella if you're caught in a heavier shower) and is finished off with a playful yellow and white gingham print. 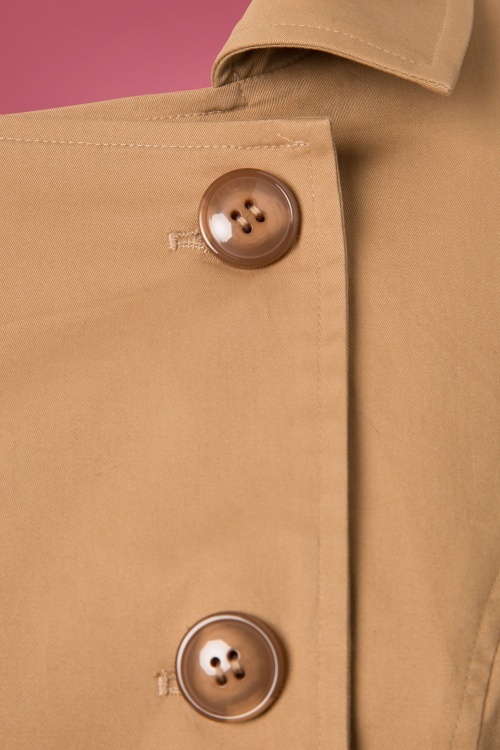 Pencil or swing, trousers or a skirt... Korrina is the perfect match for every outfit!